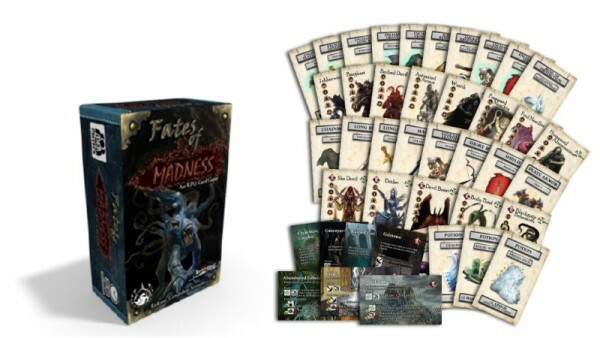 Seattle, WA, (Jun 6th, 2018) – Legendary Games in partnership with Mythica Gaming has launched its first RPG card game, Fates of Madness Kickstarter! This project is intended to create a RPG rules lite cooperative adventure card game based on the popular Gothic Campaign Compendium. This diceless game is varied by the use of fate cards and skill level to determine success or failure. As the journey continues, madness sets in compounding the difficulty. Will anyone survive or will it end in a total party kill? This horror themed adventure project will be fulfilled in December 2018.